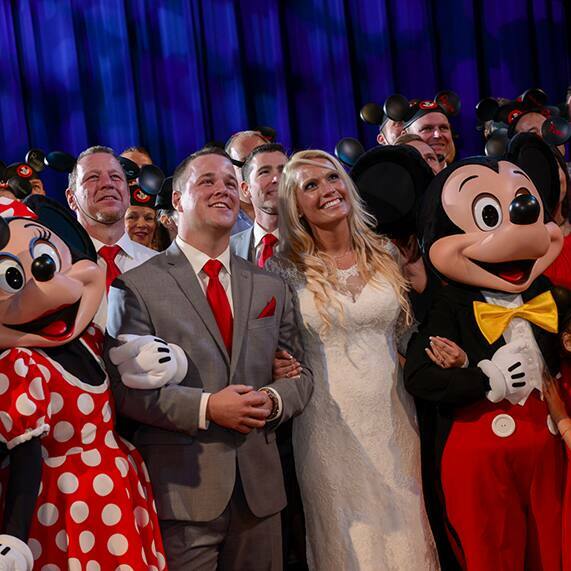 The great thing about having a Disney's Fairy Tale Wedding at Walt Disney World is that guests of all ages can enjoy a magical experience like no other. 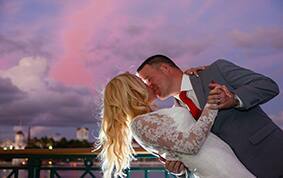 For Allison, celebrating this once in a lifetime event at the happiest place on earth was only once a dream, and like a true fairy tale prince, Shawn made this fantasy come to life starting with a cute Toy Story-themed engagement. 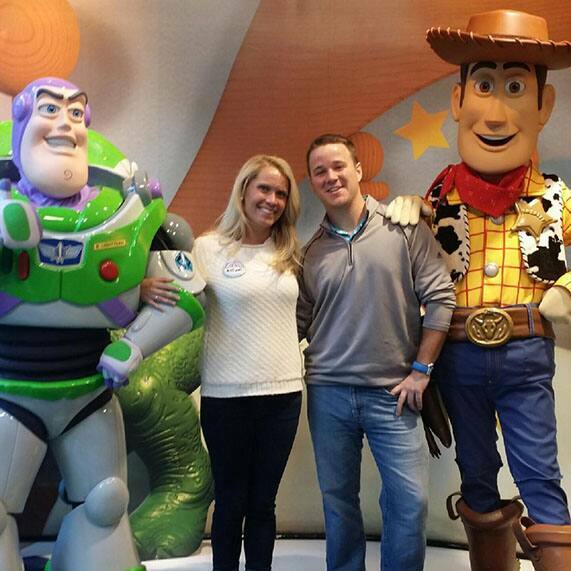 The couple, dressed as Buzz and Woody of course, took a trip to Disney during Halloween when Shawn passed Allison a note saying "There's a ring in my boot""¦how romantic! 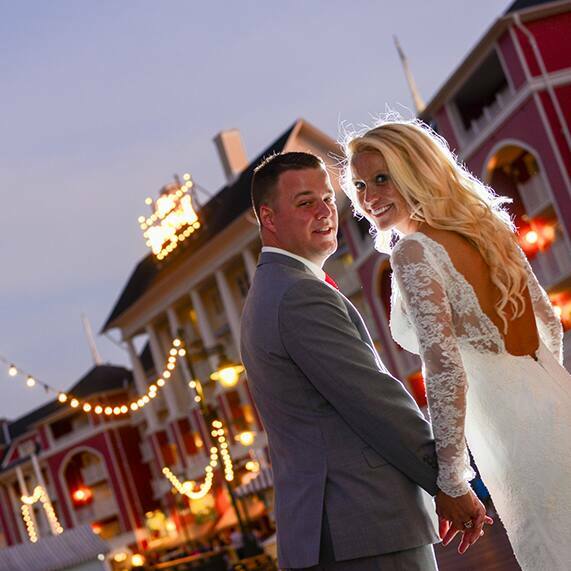 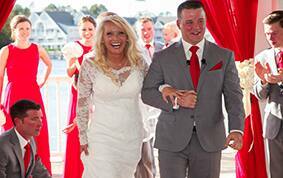 Allison and Shawn's special day at Disney's BoardWalk left their loved ones feeling like a kid again by the end of the night. 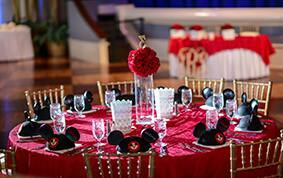 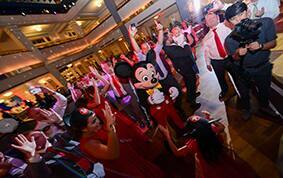 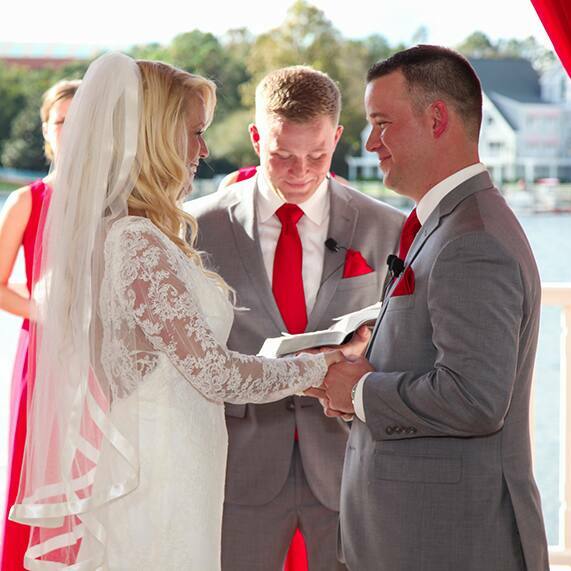 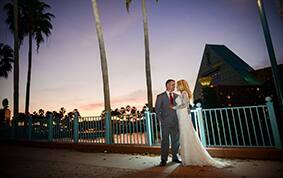 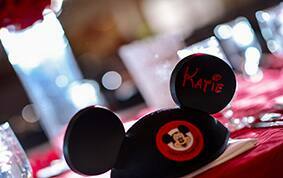 After an intimate Sea Breeze Point ceremony decked out in ruby red decor, custom Mickey ears awaited family and friends at the Atlantic Dance Hall, and of course, no magical wedding is complete without dancing the night away with our favorite Disney love birds Mickey and Minnie Mouse! 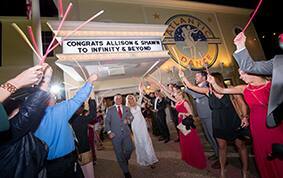 It was the perfect combination of all things Disney, and for this sweet couple, their love for each other will continue to grow to infinity and beyond.